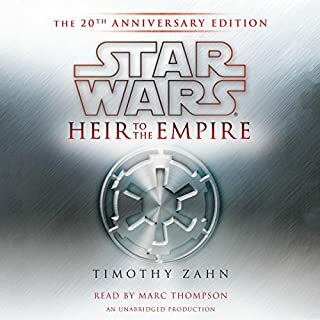 I tend to pick my star wars audiobooks based on if or not Marc Thompson is narrating them. The voice characterisation in his performances is outstanding. Not to say that other narrator's aren't good but he really brings the stories to life in the feel of original trilogy of episode 4, 5, 6. 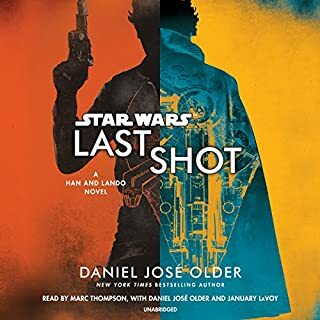 Swapping narration between Marc, January and Daniel was a little distracting at first, but if you're sceptical going into this book based on other people's review, it might help to know that January is narrating flashbacks or back stories of Lando and Daniel is doing the same for Han. Daniel especially came across as though you're listening to him over a couple drinks at a bar as he recounts something he witnessed years ago. Anyway, they aren't telling those flashbacks as if they are happening either, more like memories told from an observers perspective. I found it heaps easier to keep going by looking at it from this point of view. Marc is the "current day" storyline as it's happening. 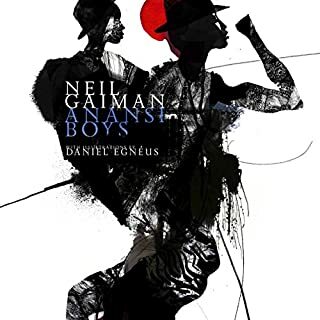 A kaleidoscopic journey deep into myth from best-selling storytelling legend Neil Gaiman. A BBC Radio 4 adaptation of Anansi Boys, featuring an all-star cast lead by Lenny Henry, will premiere on Christmas Day 2017. Fat Charlie Nancy is not actually fat. He was fat once but he is definitely not fat now. No, right now Fat Charlie Nancy is angry, confused and more than a little scared - right now his life is spinning out of control, and it is all his dad's fault. Doesn't quite have the same memorable moments as American God's but a good story none the less.. Some reviews I read before listening to Trouble on Paridise seemed a bit mixed. But this story is a good side episode which follows some of the other not-so-main characters who are stick on Paridise while Joe, Skippy et al galavant across the universe. I really enjoyed it but agree at just on 5 hours length I wouldn't spend a whole months credit or $14.99 AUD on it. 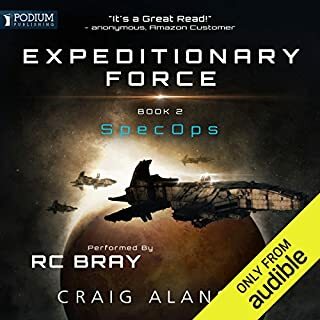 At the moment if you buy the Kindle version first you can then get the Audible version super cheap. It came to about $6 AUD for both.. I think that deal will work for book 4 too at the moment. Love it! Skippy sure is an A-Hole though ;) just the right balance of adventure, suspense and humor. As always, R C Bray did an emersive narration of this book. He first sucked me in with the Mountain Man Omnibus and then again with the Fear Saga... Now these seem to be the next of his narrations I'll get stuck on and will listen to religiously until the ene. I know his voice may be a little too gruff and almost monotone for some but I can't imagine anyone else performing them, it fits the style and theme just right IMO. I've finished the first book and at this stage my only neutral comment is that although the comic relief in the later parts of the story is much needed, it dangered on taking way from the believability of the urgency of the storyline of second half. It did help to put into context however just how insignificant the human race is in the scheme of things. 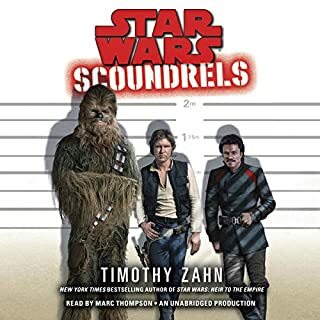 Im glad, I stuck this out... the first couple chapters took a while for me to get into the story and characters seeing as all but Han and Chewie and Winter were unknown to me. 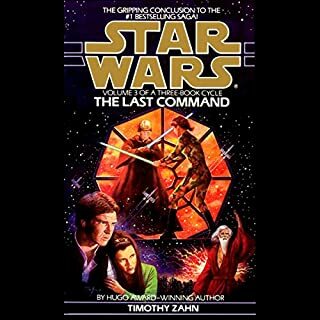 But once it got rolling, there were plenty of twists, double crosses and then an awesome final reveal... My first Star Wars cannon were the Thrawn trillogy and then the two Hand of Thrawn books. 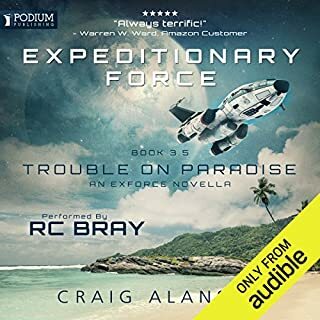 I've tried a few others but none have the pacing and story telling style that match Episodes 4, 5 and 6 that Timothy Zahn manages to pull off. What IS wrong with Arcade Fire?? This series just keeps getting better and better. 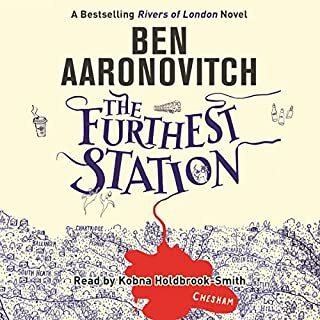 I absolutely love the cross references to past aspects of the story line and inclusion of pop culture and I can't help by listen to these stories with Google maps open too and follow as best I can the characters to the various parts of London and UK towns and villages. I'd love to sit down with PC Grant one day and have a beer with him, he seems like the kind of guy who'd fit my circle of mates. Ive never been one to get into extended universe stories, apart from the occasional console or PC game. but listening to this trillogy makes me realise I've missed out on so much. My ears will soon face the onslaught of so many more stories from all my favourite franchises. So immersive and such a convincing performance! The story is pretty true to the Starwars universe, j really could see this being played out in the series of movies. 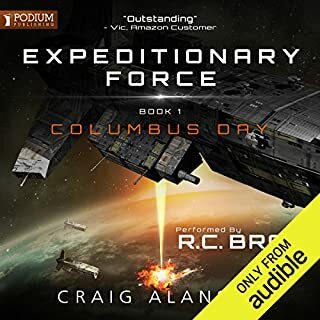 But never have I listened to an audio book with such high production value and such a convincing range of voice acting. Ioved it and have to listen to the rest! At some point every one of us embarks on a journey to find love. We meet people, date, get into and out of relationships, all with the hope of finding someone with whom we share a deep connection. This seems standard now, but it's wildly different from what people did even just decades ago. Single people today have more romantic options than at any point in human history. With technology, our abilities to connect with and sort through these options are staggering. So why are so many people frustrated? This book was forwarded to me by a friend as a gift. I'd seen some of Aziz on Netflix as well as listening to some on Spotify. I, being a relatively successful middle class single male really get a lot out of this dude. My friend I think feels I need to move into the dating scene a bit more seriously. Not that I can't get dates, just that I don't really try, or am quite happily occupied with what already goes on around me. After listening to this though I believe I probably avoid dating which is sad. I'm awesome and have a lot to offer. 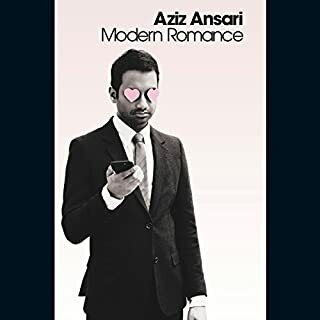 Aziz's book Modern Romance is very well researched and takes a look at modern and historical dating from a variety of cultures. The biggest thing I got out of it is not to expect to have met the perfect chick on the first or second date, but that like with anything, perfection takes time and that is the same with people. Meet them 5 or 6 or 10 times before moving on. Or not moving on. I know this sounds simple, and it's something I've known. But it was good to hear it from someone as cool as Aziz.